Psychotherapy can help individuals and families understand and resolve problems, modify behaviors, and make positive changes in their lives. 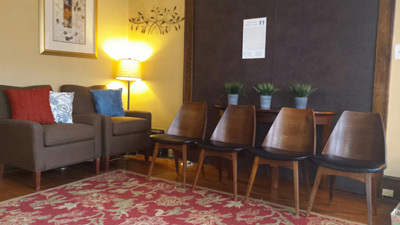 At North Main Counseling we help clients do this by offering a welcoming environment for clients and families, high quality therapeutic services utilizing techniques that are validated by the most current research, strong ethical principles, and the highest level of professionalism and confidentiality. Our therapists help clients develop strategies to reach personal, family and professional goals. We understand that each client’s circumstance is unique and we work to find strategies tailored to each client. Therapy can help improve life and relationship skills, relieve emotional pain and teach long-lasting coping skills that lead to enduring, positive change. Therapy can help clients understand that life sometimes includes challenges and suffering but also happiness and satisfaction. Our Therapists work with clients to develop a plan to deal with all of life’s circumstances in a healthy, effective way.